Social media has changed the operations of business, marketing, and customer service. According to a demographic study by Jeff Bullas, 72% of all internet users are now active on social networks. The common saying is “if you don’t have a social network profile, you may as well not exist.” That saying holds true for hotels as well. If you want people to be interested in staying at your hotel and if you want them to spread the word, you have to engage them on social platforms such as Facebook, Twitter, Instagram, and Google+. If you want to stay on your potential guests’ radar then you must use these available tools, especially when 85% of consumers expect businesses to be active on social media. In fact, 82% of people surveyed by Forbes state that they trust a company more if it’s involved in social networking. 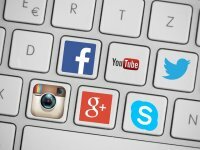 There are a number of reasons why a social media presence is important and here are some ways hoteliers can utilize it to his or her advantage. How much the consumer trusts your company relates to the way customer issues are handled. Because of social networks, guests have the ability to directly contact a company with any questions or complaints. Almost 75% of US Marketers feel that response management is important for their brands. Unfortunately, about 56% of tweeted questions go without a response. Lead the pack by responding to customer comments on your pages within 24 hours. Try to be as thorough and knowledgeable with your answer as possible because everyone can see your response. If guests feel that you are easily accessible they will feel closer to your company and may be more willing to stay at your hotel again. People want to share their experiences on social networks: pictures, videos, stories. You can use the consumers’ need to share everything to your advantage and promote your hotel at the same time. While staying at your hotel, encourage guests to post pictures of their visit on your Facebook page. There is also GeoTagging available so guests can sign in to your location every time they post. In a survey by Webbed Feet, 52% of travelers said their friends’ photos inspired their travel plans. Word-of-mouth will be your strongest asset when it comes to promoting your hotel. In a study done by BarnRaisers, 92% of consumers say they trust information from friends and family more than they trust traditional advertising. What better way to connect with guests and get them involved than with contests and promotions for your hotels? You can offer discounts if potential customers take surveys. In these surveys you can use their answers to mine data and better suit the needs of future guests. You can also create a better-connected network with hashtags. Some hotels offer picture contests where guests are rewarded for posting their best pictures at the hotel. With over 2 billion people with active social network profiles, a company that’s not part of the social media world is missing out on a tremendous amount of clientele. People want to know that they are communicating with humans and not just mindless bots. The only way to show life is to give direct, personal responses to your customers with questions, offering monthly or weekly promotions, and keeping your social media pages up to date. Social networks are communities and only those businesses who understand their community will survive.